In Japan this is one of the traditional Bonsai trees, taking many years of dedicated care to make it look like the one in the picture. Due to the American pinewood nematode being introduced accidentally to Japan this tree is now considered Endangered. 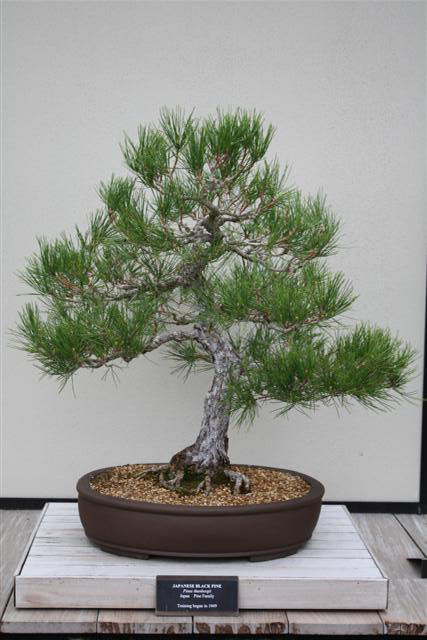 Along the eastern seaboard of North America, the Atlantic Ocean coastline, especially here in Delaware the Japanese Black Pine was planted to help stabilize the dune system. It is very tolerant of salt and winds which made it a good choice for this use. 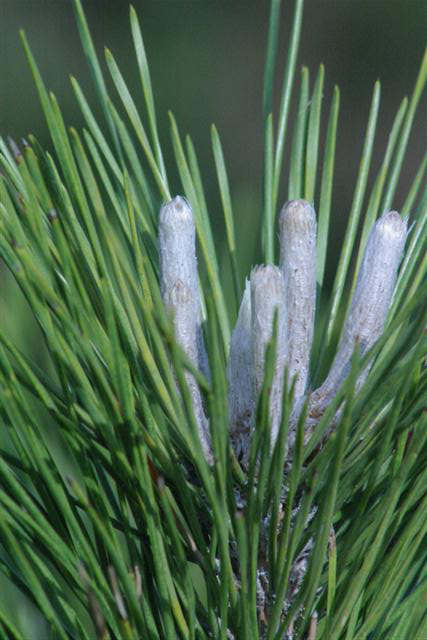 The state of Delaware has declared the Japanese Black Pine an invasive species that is threatening the fragile environments that it is now living in. Last summer when we visited the Cape Henlopen State Park we were informed that there is now an eradication program in effect in Delaware. The various parts are used as flavorings, either as herbs, spices or condiments. The bark that is found just beneath the tough outer bark of trees and shrubs is also used , this inner bark is often dried, ground into a powder and then used as a thickener in soups etc or added to cereals when making bread. A vanillin flavoring is obtained as a by-product of other resins that are released from the pulpwood.